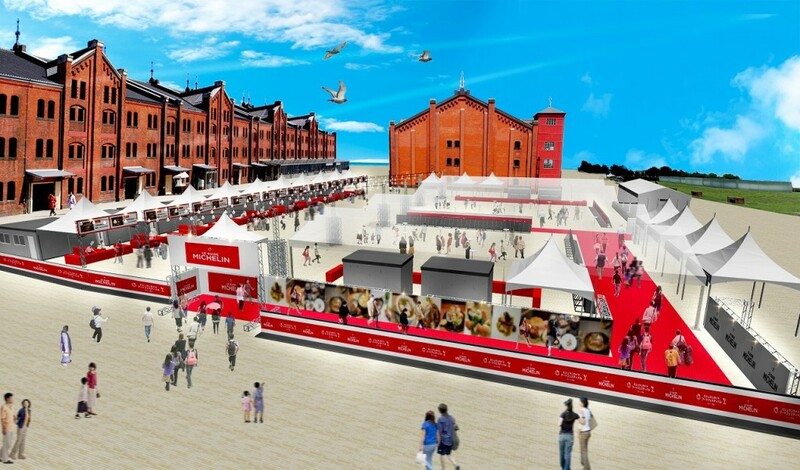 Experience the Michelin Guide’s specially selected restaurants all at one venue at “Michelin Guide Food Festival 2017 in Yokohama”. 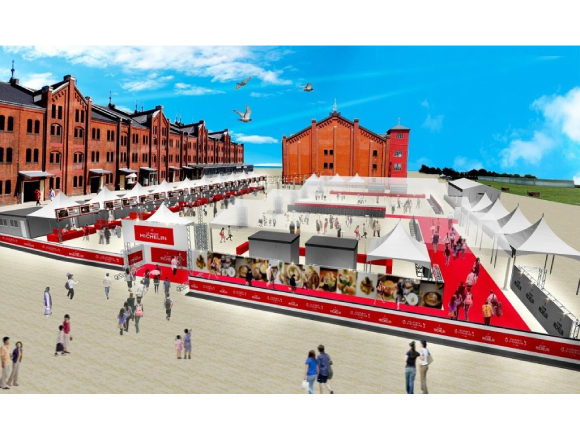 This will be Japan’s first ever food fest of the sort and will be held at Yokohama Red Brick Warehouse for a four day period from Thursday 17th to Sunday 20th August. Last year, Japan celebrated its 10th anniversary of being extremely highly ranked in the Michelin Guide. Tokyo became home to a grand total of 227 Michelin-starred restaurants and is still the city with the highest number of Michelin-starred restaurants in the world. Kyoto comes in second place with 99 Michelin-starred restaurants, followed by Paris in third place with 97. Osaka and New York are next in the rankings. Make your way around 15 Michelin-approved restaurants and enjoy the numerous delicious dishes at your own pace. This event is the perfect opportunity to experience a range of specially selected restaurants from a wide range of locations, such as Tokyo, Yokohama, Kawasaki and Shonan. From traditional Japanese food to French and Italian, this one venue is the assembly point for a large range of dishes. 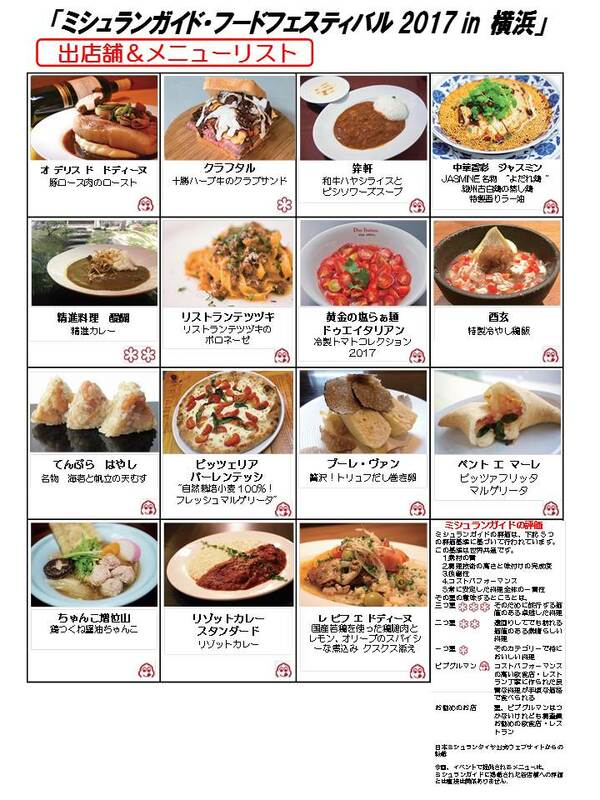 There is a lineup of dishes from each restaurant, so please check out the official website. Don’t miss out on the opportunity to encounter delicious dishes at Yokohama Red Brick Warehouse. ※ Visitors must purchase food tickets from inside the venue in order to obtain food. The price of one ticket is ￥1,000 (including tax). Related article：Organic Produce Market Open in Tokyo Midtown—Fresh Fruit & Vegetables! Related article：Luxurious Warming-Up Bar “MEZZO” to Open in Roppongi! Next » Tai Parfait Cafe, Yokohama sells cute, fluffy tapioca pancakes! Tai Parfait Cafe, Yokohama sells cute, fluffy tapioca pancakes! Enter the 360 degree VR world of picture book “POUPELLE OF CHIMNEY TOWN” at ASOBUILD in Yokohama!